I had a pizza moment tonight. Last month, I went to the NKOTB/B2M concert in Orlando with some girlfriends. Don't judge. After a few cocktails, all I wanted was a slice of pizza from Gino's, a popular pizza spot that was introduced to me by my brother Aaron. He claimed this was "the best pizza on earth". I can concur by saying it's one of the best late night pizzas I have ever encountered. After hanging tough to some motown philly at the concert, we arrived at Gino's and I saw they were closed. WHAAAAAT? Hearts were broken.........I was sad, I was lost.....and ended up with a giant kielbasa on a potato roll. Megan: "Gino's Pizza?! 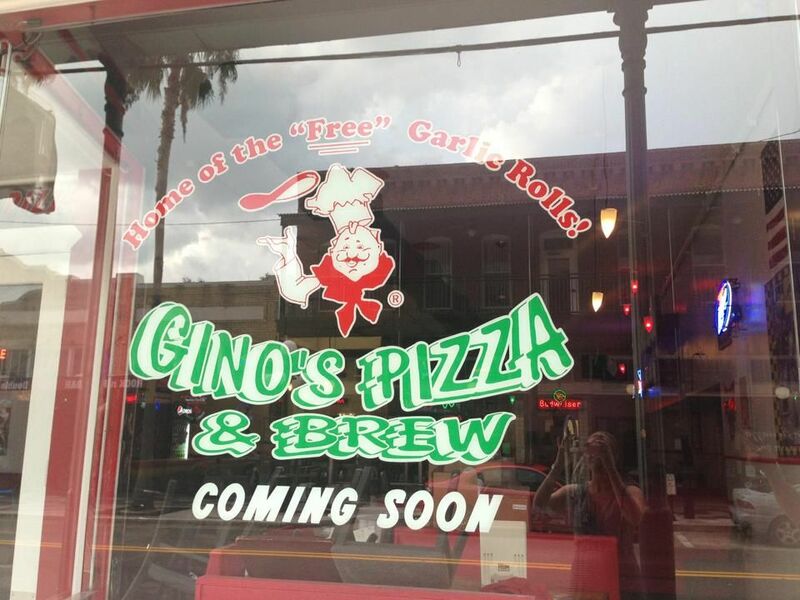 Like Gino's in Orlando???? The sign says it has garlic rolls with each pizza? Gino's in Orlando did that. It looks like their logo??" Megan: sign? What sign? 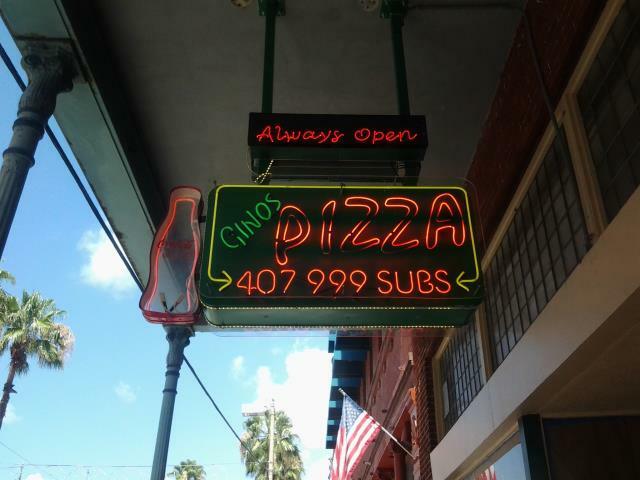 Oh...My.....God.......it really is Gino's! It's Gino's....in Ybor!!!!! I gotta text Aaron"
Hello Lover! This my Tampa friends is the exact sign that I have stumbled upon multiple times on Orange Ave in Orlando. All of my Gino's moments have happened after a few adult beverages, meaning I forgot to take out my phone for photos. Below are a few I have kindly borrowed from fellow foodspotting members. Garlic knots included. Hahaha...I'm dying. Your excitement is screaming from the text in this post. Although I am clearly not as obsessed with pizza as you (especially the non-gourmet kind-yes I'm a snob)...you have me allllllmost convinced. PLEASE take me here and further convince me once they open :) Can't wait.